In this role, you will focus on working with our Marketing Events & Tradeshow Manager to assist in the delivery of key events across Europe. You will coordinate with internal stakeholders and suppliers and work in a multi-national team and provide regular reports to management on the event plans. Key activities and responsibilities in this role will include a mix of event logistics, event marketing, stakeholder management, and reporting. You will be exposed to a broad range of events planning and other marketing activities across Europe in a fast moving technical, business to business environment. This is a strategic area for growth for the company and is a great chance for a strong performer to make a mark. Qualified or soon to be qualified in an Events or Marketing dominated area of study – or relevant industry experience. Knowledge of core marketing principles and the application of these to event management. Strong organisational skills and attention to detail. Proficient in Microsoft Office applications primarily Outlook, PowerPoint and Excel. Strong communication skills both written and oral with fluent English. Ability to work smart in a fast-paced, changing environment. A high degree of reliability, flexibility and confidentiality. Strong commercial awareness and an interest in technology and start-ups. 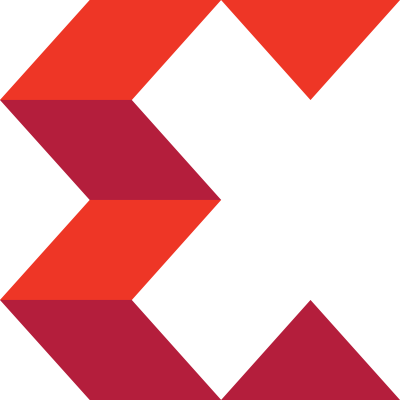 Xilinx develops highly flexible and adaptive processing platforms that enable rapid innovation across a variety of technologies - from the endpoint to the edge to the cloud. Xilinx is the inventor of the FPGA, hardware programmable SoCs and the ACAP (Adaptive Compute Acceleration Platform), designed to deliver the most dynamic processor technology in the industry and enable the adaptable, intelligent and connected world of the future in a multitude of markets including Data Center (Compute, Storage and Networking); Wireless/5G and Wired Communications; Automotive/ADAS; Emulation & Prototyping; Aerospace & Defense; Industrial Scientific & Medical, and others. Xilinx's core strengths simultaneously address major industry trends including the explosion of data, heterogeneous computing after Moore's Law, and the dawn of artificial intelligence (AI). Our global team is growing and we are looking for bold, collaborative and creative people to help us lead the industry transformation to build an adaptable intelligent world. We believe that by embracing diverse ideas, striving for excellence in all that we do, and working together as a unified team, we can accomplish anything. Come do your best work and live your best life as part of the ONEXILINX team!